We all like to listen to music, and a large percentage of us like to listen to high fidelity music. So, its without saying that when you listen to high quality music your speakers, headset, or playback device is very important. There exists an incredible selection of audio brands, and in each brand there is plenty to choose from, so, usually, the quest for high quality listening hardware comes down to the question of price. Certain brands target certain price ranges, as is with all things in this consumer based world. 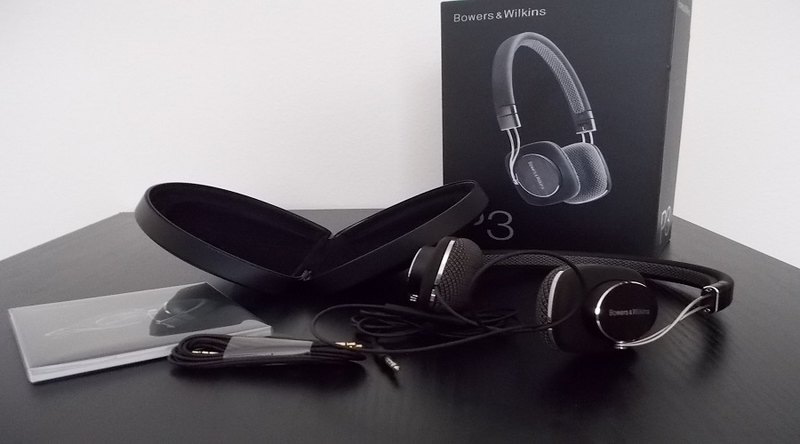 Today, we’re going to be looking at the ~$200 price range, and our product will be the Bower & Wilkins P3. The P3’s retail price is $199.99, which puts it into the same price range as the Beyer DT880, the Hifiman HE-300 r2, the Sennheiser PX 360, the Sony MA900 and innumerable others. So, it’s quite a saturated market: how do you know which one to pick? So, lets boil the P3, and by extension other headset in this price range, down. We’ll start with the features, and then swing into the specifications, to find out if the P3 sinks or swims in the sea of hardware. The P3 first strike you with the way that they are packaged. 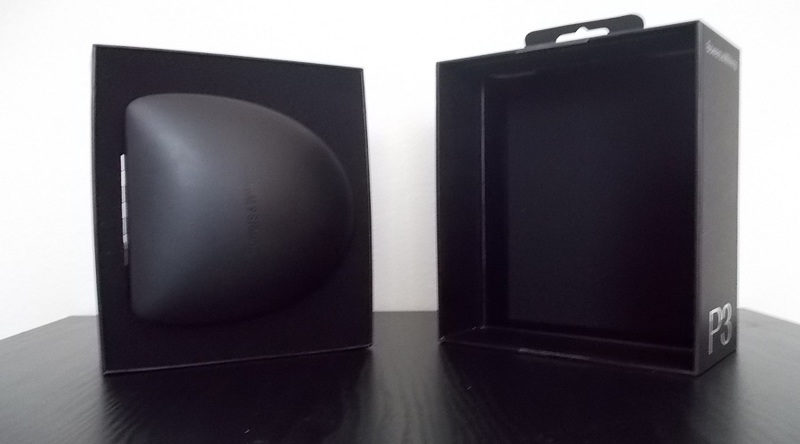 A simple, no bells-and-whistles box, with the carrying clam-shell case, headset, an extra wire (advisable for Android users to just plug this one in), and the instruction manual. The construction is quite literally solid as a large portion of the weight of the headphones is due to the amount of metal used. The stylish and sleek easy to adjust band is metal, as are the parts that hold the driver in place. The headset just feels sturdy, and hard to break. As we head down the wire, we have a volume adjust panel with inline mic, which also has double tap features for answering phone calls and the like (sadly all of these features apply only to the iPhone and if used on an Android system, the taps will just freak out, and more often than not try to call your last dialed number), and at the terminus we have a 3.5mm vertical stereo mini jack. If we remove the ear cushions, held on magnetically, we see that the part of the wire that heads into the headphone also has a jack: one 2.5mm mini jack for each ear (see gallery). This is where that extra wire comes in. I’m sure we’ve all had a pair of headphones that went bad due to a nick in the wire shorting one of the drivers. Sure, one ear worked, but that was no way to listen to it, so we either threw out, or returned the headphone, and got another set. 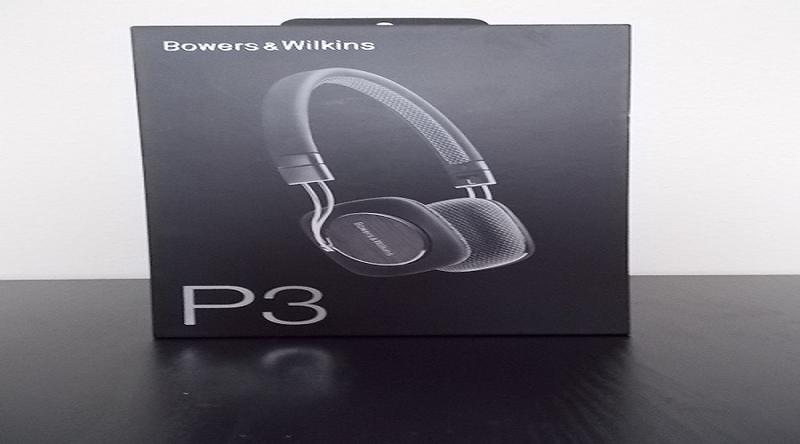 With the P3, you just remove the wire, plug in another, and continue listening. If it satisfies you, the P3 can last you a lifetime, simply because the most easily damageable part of the system has been made replaceable. 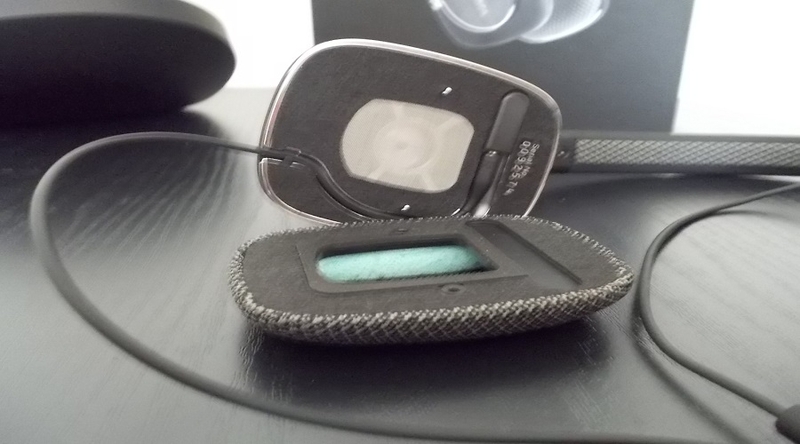 The headset is very comfortable, but as I found out, that comfort lasts for only a little while. After about one and a half hours, which is about how long it takes for the memory foam cushions to take the form of your ear, I found the headphones increasingly uncomfortable, and after 3 hours, outright painful. They also tend to slip down, bit by bit over time. I tried this with different adjustments to the band, and came out with the same result. I understand that most people won’t sit and listen to music for longer than 2 hours, but still, I felt like this needed to be addressed. At the same time, maybe supra-aural headphones just aren’t for me. The best word to describe the sound is crisp. The sound through all ranges is controlled, with the lower frequencies definitely standing out as the smoothest of all. Bass lines flow out, instead of being pounded into your ears. The chilling silkiness of the sound also helps to easy any issues there may be with MP3 recording quality. Before we go on to the specifications, I’d like to point out that with music a lot of things are left to opinion. Our interpretation of the sound is largely dependent on our bodies’ ability to receive and process the sound, and it’s different for everyone. Sure, we hear the same notes, but some might be able to hear the lower notes better, while others can tell apart the crispness of every high note. To avoid confusion, for the specifications, we’re gonna play the universal standards: electrical characteristics. The impedance rating of the P3 is 34 ohms. As the impedance for a pair of headphones decreases, less voltage but more current is taken in by the driver units, and the loudness of the speakers for a given voltage increases. 34 ohms is on the low side, and if the previous cacophony of a sentence didn’t make sense to you, it means that less power is required to drive the speakers, which (for you mobile users) means longer battery life. Lower impedance headphones generally tend to be more efficient, and most of the time louder then their high impedance brothers. The P3 has a rated frequency of 10hz to 20 khz. This is confusing to a lot of people, so, let’s make it easy on us. Think of a piano: in terms of frequency, middle C has a frequency of about 261hz. The lowest C on the piano has a frequency of about 16hz, and the highest C has a frequency of about 4186hz, or 4.186khz. So, if we apply this to the P3, we can see that it can handle the bass very well, and then has plenty of oomph to handle the highs. Lastly, we’ll look at sensitivity, which for the P3 is rated at 111dB/V at 1kHz. Sensitivity indicates how loud the headphones are for a given drive level, by measuring how effectively an ear peace converts an incoming electrical signal to audible sound. Overall, it breaks down to something like this. So, as a nice, quick way to listen to music with a great quality headphone, I can recommend it. If you have ears that get tired quickly, or if you think $200 is a bit steep, this is not the headphone for you.